In 1974, Jeff Webb founded Universal Cheerleaders Association to provide the highest quality educational training for cheerleaders with the goal of incorporating high-level skills with traditional crowd leading. It was Jeff’s vision that would transform cheerleading into the dynamic, athletic combination of high energy entertainment and school leadership that is loved by so many. Today it is the largest cheerleading camp company in the world. 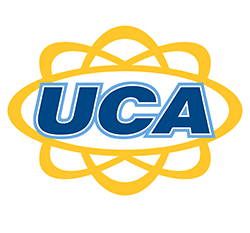 UCA trains over 180,000 cheerleaders every summer at over 3,200 sessions across the country, offering the widest array of dates and locations of any camp company. UCA has instilled leadership skills and personal confidence in more than four million athletes on and off the field while continuing to be the industry’s leader for forty-five years. HC Jr Red Devils Cheer takes extreme pride in our cheerleading program. Our goal is to have our cheerleaders follow the same path as our surrounding high school teams, including Hunterdon Central. UCA style cheerleading incorporates high-level skills while maintaining that traditional “Game-Day” cheerleading experience. Being affiliated to UCA also gives our Nationals Sr. Rec. Team the opportunity to qualify and compete at the UCA National High School Cheerleading Championship (NHSCC). NHSCC is the most prestigious cheerleading championship in the country. In 2019, they hosted over 18,500 athletes, 950 teams and 50,000 attendees at the Walt Disney World Resort in Orlando, Florida.